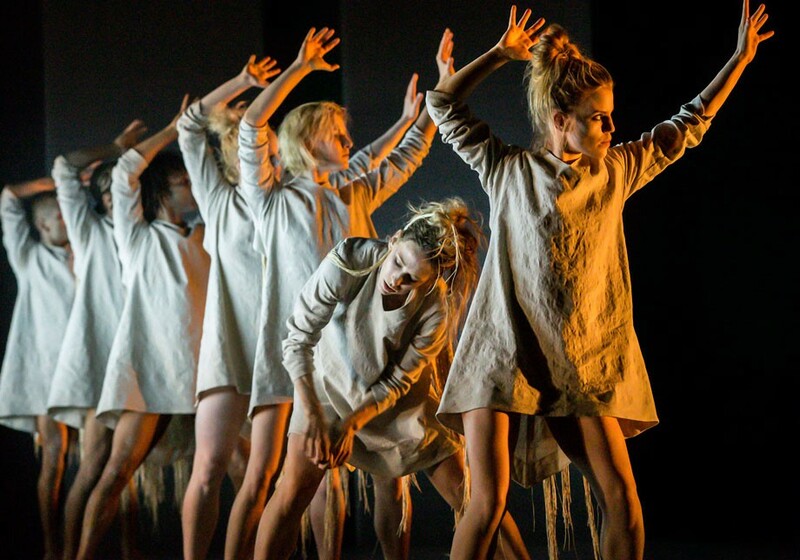 Lucy Guerin was commissioned by Rambert, Britain’s oldest contemporary dance company, to make a new work for the company. This commission followed on from Lucy co-­directing Macbeth with Carrie Cracknell for the Young Vic in 2015. Tomorrow inhabits the dark and dangerous world of Macbeth. Building on her recent, landmark production of the play, Lucy Guerin’s dance work gives physical life to the psychological conflict that led a man to murder. Tomorrow is Lucy Guerin’s first work for Rambert. It features a score by composer, sound and multimedia artist Scanner (Robin Rimbaud) whose previous dance collaborations include creating detritus with Wayne McGregor for Rambert in 2001. Designs are by Conor Murphy and lighting is by Lee Curran. Tomorrow is part of BBC Shakespeare Lives a year long programme of international activity in the arts, education and English language teaching to celebrate the continuing resonance of William Shakespeare in 2016. You can see three short video clips on the making of Tomorrow on the BBC’s website – including a full version of the work in its entirety.